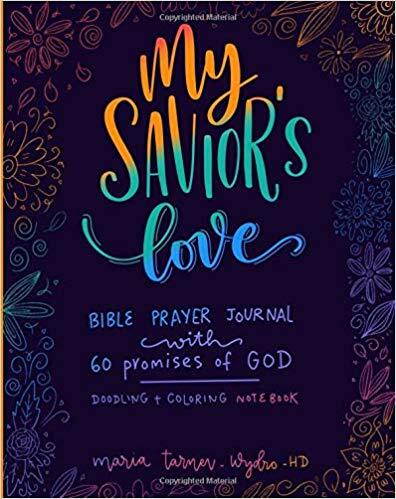 GREAT GIFT FOR THAT "Hard to Buy for" Woman....My Savior's Love Bible Prayer Journal, Coloring and Doodling Book is 238 pages, 8" by 10" large format. 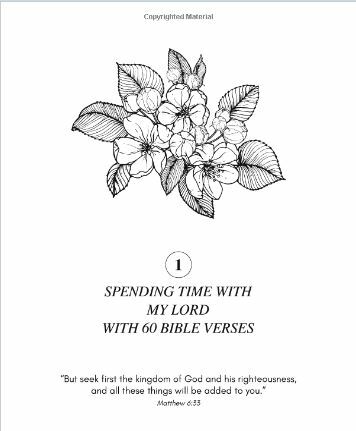 Each page has outline text, designs, flowers that are perfect for relaxing coloring and doodling, while learning verses of the Word of God. 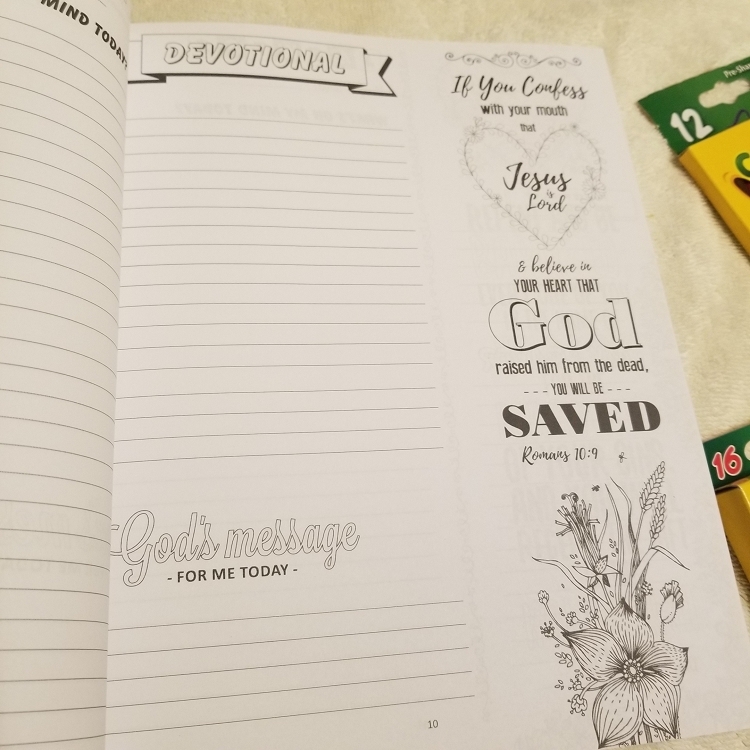 There are 60 pages devoted to Daily Prayer and Devotions with Thankful Prayers, area for Daily Journaling notes, God's Message and Verse for the day, all in beautiful color-able scripts. Spend time with the Lord in a relaxing way to help guide your thoughts as you pray about concerns such as health, overcoming stress, personal relationships, and more. Also includes pages for making a list of those you wish to pray for and share the Gospel with. Helps you discover and grow your God-given gifts in your quiet time with God. Has pages for sermon notes, words to inspiring worship songs and hymns. Even includes Weekly Meal Planners with Shopping Lists and space for your favorite recipes to keep you organized and efficient when shopping. 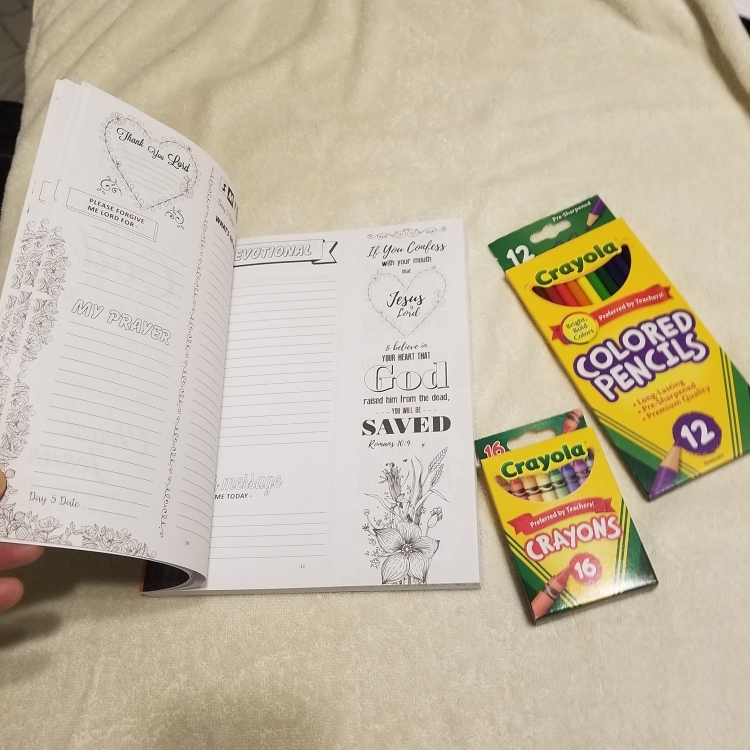 Every page has beautiful designs and outline text that you can color, personalize and make this a true keepsake that you can share with your family and friends. 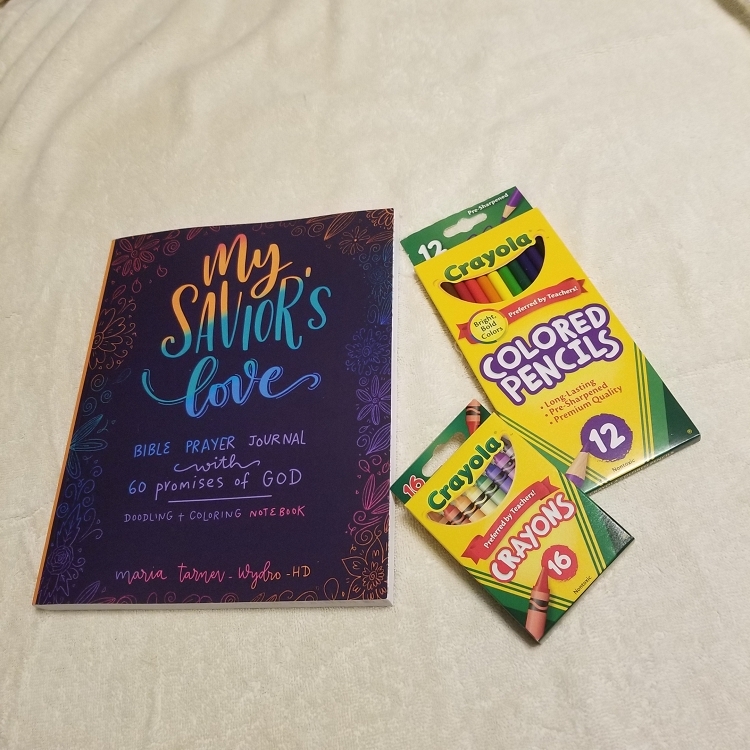 Start an interactive coloring prayer club at your church or with your Bible Study! Coloring Crayons and Pencils are not included.